Leading security systems integrator partners with video surveillance network management company to help customers eliminate missing video & keep an eye on their facility at all times. New York, NY – May 19, 2015– Idesco Corp., a leading New York-based security systems integrator, today announced it has partnered with Viakoo, an award-winning video surveillance network management company, to offer its customers reliable video monitoring that eliminates missing video and reduces video downtime. The Viakoo video management system provides the unique ability to automatically detect and diagnose any irregularities within the entire framework of a video surveillance system. The system will send alerts instantly when abnormalities in performance are detected, so immediate action can be taken to eliminate any downtime. In addition, Idesco customers will receive detailed reports with powerful performance indications to help stay informed on all video activity at their facility. 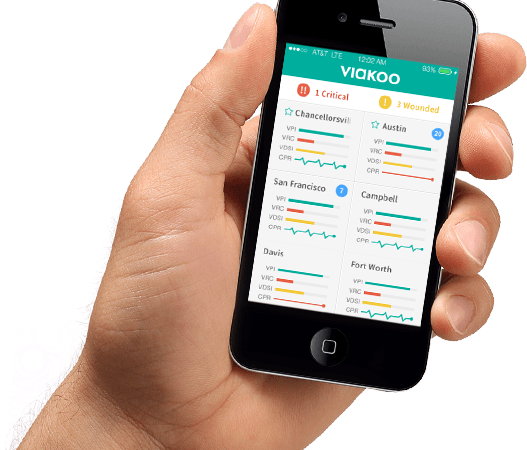 Viakoo continuously examines an entire video network, from cameras at the edges through complex computing software and networking infrastructure, to the recording hard disks at the core every 20 minutes. 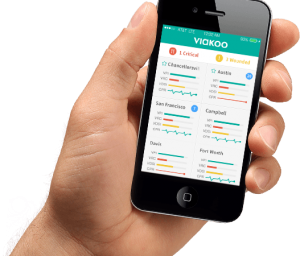 Viakoo then correlates all that diagnostic data and performs predictive analytics to identify problems before they start. While ensuring continuous video surveillance system operation, Viakoo effectively eliminates 100% of informational truck rolls and reduces troubleshooting time by 80%, providing significant cost reductions. Customers now have the option to have Idesco monitor their video system from anywhere at anytime. This add-on solution is not only easy-to-use and effective, but extremely affordable to implement and can be accessed in real-time on a mobile device, tablet, or desktop. For more information, contact Idesco at 212-889-2530 or visit http://www.idesco.com/viakoo.htm.